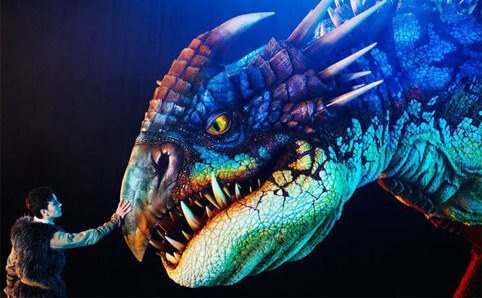 Between March 2–11, 2012, the Hisense Arena in Melbourne, Australia will host the premiere of How To Train Your Dragon: Arena Spectacular, a live-action show featuring over twenty dragons. Built by local animatronics workshop Global Creatures, the biggest will be fifteen metres long and operated by three people. After its Melbourne premiere, the show will tour Sydney and Brisbane before going abroad to New Zealand and the United States. I used to own the book -- if you can find it, it's a great read! The play seems a bit strange. If they made it like a realistic movie to begin with, maybe not.